As part of the Southern League Football Academy (SLFA) - the sister programme of the successful NPL Football Academy (NPLFA) - our students study for a BTEC in Sport Level 3 qualification, train every day with an UEFA qualified coach and play in the SLFA League with opportunities to play in the FA Youth Cup. 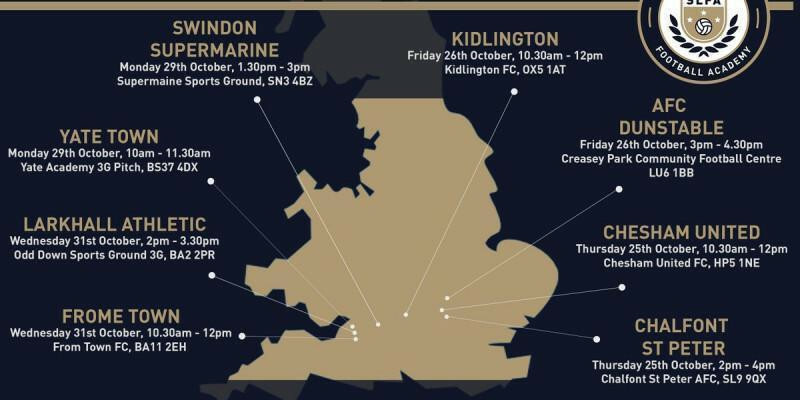 Starting in September 2019, the Swindon Supermarine ‘Education and Football Academy’ is an alternative to college and is ideal for any 16/17 year old who wishes to gain a great education and develop as a footballer at the same time. VENUE: Swindon Supermarine FC, Supermarine Road, Swindon, SN3 4BZ If you would like to attend, please register your details at the slfa.co.uk/register At the Swindon Supermarine Academy you will study, train and play full time.